Providing metal building solutions since 1980. 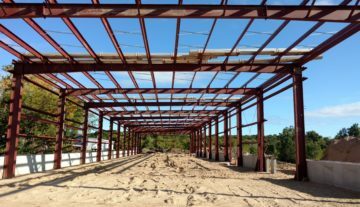 Our expertise extends to commercial, industrial, and institutional construction-using both pre-engineered systems and conventional methods. So whether you’re planning a renovation, an expansion, or a new facility, our commitment is to make the process outstanding in every way. We will collaborate with the local municipalities, architects, and engineers to design a facility that will meet your present and future needs. Most important our team works to understand your ideas, incorporating them with our own to create a solution that will fit your vision for the project. D & K Engineered Construction has built a reputation for integrity, quality workmanship, and on-time completion. But what really sets us apart is our uncompromising focus on customer service. Because we work in partnership with you, we keep your needs and interests in the forefront. And because we stand behind our work, were there whenever you need us, even after the project is completed. In 1980, D&K was founded by Rick Dunneback and Paul Kuhn. 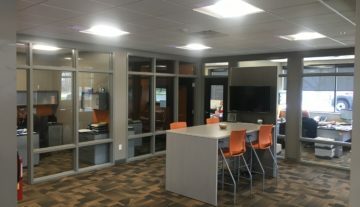 Their goal was to establish personal and professional relationships with their clients and provide quality buildings. In May of 2012, Andy Huffman purchased the company with commitment to operate with the same high standards and attention to customer service. The City of Grand Rapids is committed to doing business with local and small businesses in the Grand Rapids area. A business designation of Micro – Local Business Enterprise (Micro-LBE) has been established to enhance the competitiveness of these businesses to obtain City contracts. D & K Engineered Construction, Inc was awarded the Micro-LBE on September 6, 2018. D&K Engineered Construction, Inc. is proud to be an authorized Nucor Building Systems Builder. 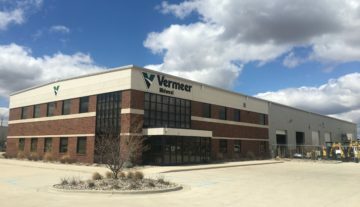 Nucor Building Systems, a division of Nucor Corporation, has been a leader in the design and manufacture of custom-engineered metal building systems for more than two and a half decades. By partnering with Nucor Building Systems, D&K Engineered Construction, Inc. is able to offer our customers a wide array of building solutions that are custom designed to your specific needs, yet cost-effective, efficient, and faster to erect than conventional constriction methods. Plus, Nucor Building Systems products are proudly made in the USA from steel that is nearly 89% recycled so you can feel good about your choice to use a Nucor metal building. 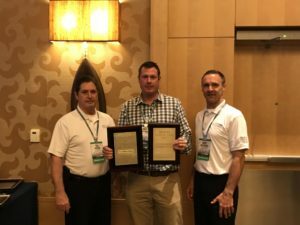 We recently received our 12th Nucor award for sales at the National Builder Meeting in San Diego.